JustParts is an online marketplace for buying and selling auto parts. used auto parts from stores across the internet. auto parts online. List UNLIMITED parts for FREE! JustParts.com is a patented platform that makes it easy to buy auto parts and sell auto parts online. JustParts provides shoppers with the largest and best selection of new and used car and truck parts while providing unique and powerful tools to help buyers find the right parts at the right price. Unlike other marketplaces, we focus on "just parts" as our name suggests. This allows us to provide a unique shopping experience tailored to auto parts buyers and sellers around the globe. JustParts.com is the fastest growing "auto parts only marketplace" offering more than 4.5 million part applications from thousands of different sellers – big and small. But we don't stop there. We want to deliver the best possible shopping experience for our users so if we can't find the car or truck parts you're looking for from our network of sellers, we'll search the internet to find the parts for you and take you there - just because. 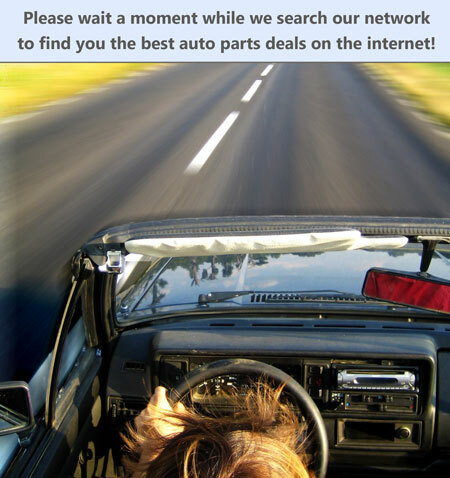 We know how frustrating it can be when trying to find car and truck parts online. Especially when it comes to the smaller hard to find parts sellers don't normally list online. Parts like wiring, interior trim and electrical components can be like trying to find a needle in a haystack. We intend to change that by providing our users with tools to make the online shopping experience easier and feel more natural. Buying auto parts on JustParts is simple. Search for the parts you need using any of the tools we provide. When you find the part, you buy it directly from the seller using the JustParts website. The seller instantly receives the money and ships you the parts. All communication and order tracking is recorded in your JustParts account while online buyer protection keeps you protected. Find it. Buy it. Receive it. Yes...it's that simple. Learn more about buying auto parts on JustParts.com. sellers around the world on JustParts.com. Ask questions, make offers, request shipping. Buy parts directly from sellers via JustParts. and ships you the parts. Interested? Thought you might be. Learn how to buy auto parts on JustParts.com. JustParts.com will provide you with access to millions of ready-to-buy auto part shoppers in a marketplace built just for parts. Unlike other marketplaces, JustParts is focused specifically on auto parts to give you exceptional product exposure. The JustParts seller program is designed for just about anybody looking to sell their parts on the internet. Whether you're a business with 1 million parts or just someone with an extra part in their garage, JustParts will work for you. There's no cost to join and you can post UNLIMITED parts for FREE. You only pay a small fee when you sell a part – it's virtually risk free. JustParts is designed, built and tested by parts professionals with over 50 years of experience in the parts industry so you can be sure you'll have access to the most powerful online selling tools available. Tools like Phone Connect and Auto-Part-It™ will help you sell more parts, faster and easier than ever. Sell on other marketplaces? Not an issue. JustParts allows you to import parts from other marketplaces with a few clicks of your mouse so you can get up and running in no time. Don't wait, get started today. You can be ready to start selling auto parts in less than five minutes. Learn more about selling on JustParts. to be seen by buyers around the world. Interested? Thought so. Learn more about how selling on JustParts.com works.